A year and a half ago I made the decision to homeschool, while my oldest was in kindergarten. We started at the beginning of Grade 1 and we are now entering our second year. It was a bumpy road with a steep learning curve, but I’m really looking forward to what’s to come. But now my youngest is three and nearing school age. I know for sure I will start homeschooling her when she can be registered, but till then there are a few crucial learning years in there. Kaiana enjoyed her first day which included songs, blocks, crafts and coloring! Many homeschool families (and non homeschooling families alike) struggle with the decision to send their children to preschool or not, and the answer is completely different for every family. Our oldest went because I thought it would prepare her for kindergarten and because I was on maternity leave at the time, so I had the flexibility. We also didn’t know too many other kids her age, so it gave my social butterfly a chance to make some friends. With my youngest, she hasn’t really had experiences that are truly her own. For her, it will build her confidence when she excitedly tells us how her class went and what fun things she participated in. She is a very social person also so it gives her an outlet for that without draining me! It will also give me and Chloe more one on one time to do special outings, work on large puzzles together and cover things that interest her. Whether you choose to send your child to preschool, choose to homeschool preschool, or any other situation that works for your family, make sure play is the main focus. Imagination, vocabulary, gross and fine motor skill development and problem solving skills will emerge organically during quality playtime. 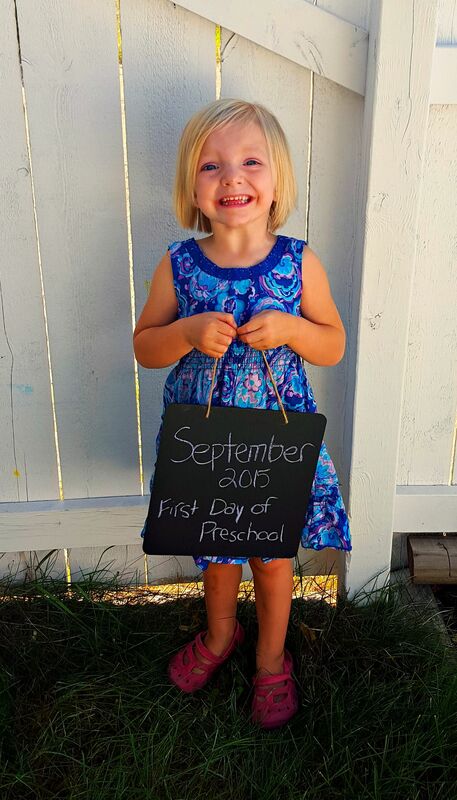 What are your family’s plans for the preschool years? With my first three children, we participated in a preschool co-op together. For four of those years I directed these co-ops and I loved how each year there was a different mix of moms and preschoolers. Our focus was more on friendship and play than academic learning. With my youngest, we lived in Peru at the time and my husband felt it was best to send our 3-year old to a preschool so he had friends his age. It wasn’t easy for me to send him since it was Monday through Friday for four hours. It was interesting as he wore a uniform and was this American blonde haired boy in a class of Perivian children.